Human immunodeficiency virus (HIV) is a virus that causes progressive failure of your immune system. In almost all cases, HIV will develop into Autoimmune Deficiency Syndrome (AIDS) over time. Symptoms include fever, headaches, chills, rash, sore throat, ulcers, joint pain and night sweats. The Social Security Administration has an impairments listing manual (called the blue book) which includes an official disability listing for HIV. Social Security evaluates HIV under listing 14.08. The listing consists of numerous specific categories with complex criteria. For instance, 14.08(k) requires the repeated manifestation of HIV infection with marked levels of limitations in daily activities, restrictions in maintaining social functioning, and constraints in completing tasks on time. If your condition is not severe enough to meet the requirements of the listing, you may still qualify for disability benefits. Claimants with HIV/AIDS suffer from fatigue that can affect their ability to complete any physical tasks properly. Breathing problems, including shortness of breath and pneumonia, are also common for those with HIV/AIDS and can limit your physical capabilities to such a magnitude that there are no jobs you can do, or at least no jobs that you know how to do, given your age, education, and experience. 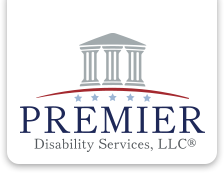 Premier Disability Services, LLC has extensive experience assisting claimants who have HIV obtain Social Security Disability benefits. If you have HIV and you are unable to work, please contact our office for a free evaluation.